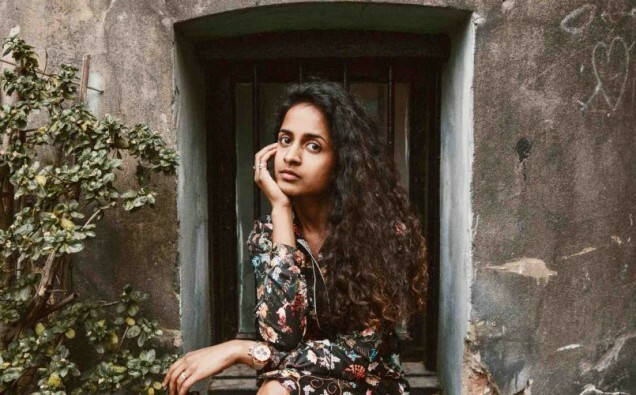 Singer-songwriter, producer and multi-instrumentalist Navina grew up surrounded by eclectic musical influences from a young age. Having gained a grade 8 merit in classical flute, the indie artist took it along with her piano grades and picked up the guitar where she discovered a love for writing at the age of 14. Her lyric book filled with songs, contributing to a weighty catalogue, of which some feature on the next “volume” of her upcoming releases called S H A P E S.
Her self-produced debut single “Time” gained both local, national and international coverage including “10/10” from 24ourmusic.net. Following its success, she was nominated as Best Unsigned Female in Best of British Unsigned Music Awards, also playing live sessions for BBC Cambridgeshire, the BBC Asian Network and BBC Introducing (London and Cambs). She was also named as BBC Radio 1 DJ, Yasser’s artists to watch in 2016, being noted as the first of her kind to come out with an indie folk/pop vibe. As always, she produces all the musical arrangements in her bedroom in Cambridge using a student-budgeted set up bought at 18, and then hammers out the glossy versions over a few studio days, playing all the instruments apart from the drums and bass. This time though she’s taking on different arrangements to the acoustic sound she’s known for, exploring different facets to her persona which her catalogue of piano-led tracks bring. Having been compared to an “early Norah Jones” with an edge of pop and folk, the production styles of Rostam Batmanjli, Arif Mardin and Ryan Tedder evidently influence the new material. The first release, 27 Hearts, was written and produced by herself whilst doing her university dissertation and binging on the likes of HONNE, Izzy Bizu and Dave Brubeck during hours in the library. “27 Hearts addresses the tech-infused, millennial but not so millennial problems of comparison, the farce of social media, misrepresenting media, multi-personality people and superficiality of the instant-gratification society we live in. I also really enjoyed this time producing and finding sounds that bring out the snappy, clappy rhythms of carefree living.” The single was mixed by Grammy-winning Rob Chiarelli.